Meet Vernon Peterson, President and founder of Abundant Harvest Organics and fourth-generation farmer. While his company has blossomed into a farm-share delivery service that offers weekly organic fruit and vegetable delivery throughout California, Vernon’s farm story began in 1892 when his family immigrated to America and began farming. Find out more about Vernon’s roots, why he’s proud to carry on the legacy and what he attributes his farm’s success to. Vernon: We’re packing organic oranges and mandarins because in addition our delivery service, which is similar to a CSA (Community Supported Agriculture), we also run a packing shed. We’re also pruning peaches and feeding chickens as well. It’s just another happy day out here. CA GROWN: What is your favorite thing about your job? Vernon: I really enjoy working with people and processes and the fact that we get to help a lot of people. For example, for a few small farms, we’ve been able to help them get established and become profitable. It’s also really fun to send out that organic product directly to families. Some people order a box of organic produce and get that every week. And we’re able to get direct feedback from people and it’s really enjoyable. Helping people achieve their goals is definitely the neatest part of my job, whether it’s helping them be profitable or being able to source healthy produce. Vernon: We donate a lot of produce to various charities and we invite high school students to come out and get a taste of the farm with some land-based learning. Vernon: The easy answer is that it’s what we’ve always done. For a good portion of my life growing up, I thought I was going to be a dentist or veterinarian, but I’m so glad. Also, when my father passed away we had a choice to either keep up the farm or sell it, so we chose to keep going. But every generation has to reinvent itself and about 15 years ago, we switched everything to organic and that’s been a great decision for our family. Vernon: I go hiking in the Sierras, I love fly fishing and I’m always ready to throw on a backpack and go to the woods with my fishing pole for a week. Vernon: First, you should start out selling your produce. Second, you need to know what your costs are. And finally, you need to be able to answer why someone should buy from you instead of somebody else. What unique value proposition do you bring to the table? If you can answer those questions, you’ll be fine. Usually people start out growing it and then they think about who’s going to buy their stuff or realize that it costs more to grow their product than what they’re actually selling it for and that’s where you get in trouble. CA GROWN: What is something unique about your business? Or what is something that makes your business stand out? Vernon: On the packing side, we provide service to small farmers, so they can get an honest packaging experience from us. We make a deal for a price before the farmers plant their seed, so they’re guaranteed a profit. For our CSA customers, they’re getting produce that has been out of the ground for, at the most, 48 hours and it’s all organic. And they know who they’re dealing with – they can email us, they can come visit us and meet the farmers directly. And for our wholesale customers, we put up organic fruit in the specific packaging and with a specific quality they’re looking for with an adequate volume to tailor to their needs. Each of the things we do has its own unique value proposition. CA GROWN: What has contributed to your long-term success in the past and what are you doing to ensure continued success in the future? Vernon: What we do that’s unique is we don’t just pack fruit. We grow it, we prune it, we thin it, we harvest it. Then we bring it in and get it in the right package and get it shipped off. And we do it organically with some fairly significant volume. Another thing we have is a complete balanced program, so on any day during harvest, you can get any color of fruits and it’s a very balanced array of products. In other words, you don’t have to go to five different places to get what you need. We’ve got it all right here. CA GROWN: What are some things you’re looking forward to with your business? Vernon: We’re rebranding the consumer-supported agriculture website and getting a whole new look for that. We’re making the website more accessible and making it easier for people to order specific items. That will be live for the new year. We also have to mentor the next generation into position and I’m looking forward to that. CA GROWN: What’s the most rewarding part of your job and why? Vernon: Helping people accomplish their dreams. You take care of people and they take care of you – it’s as simple as that. 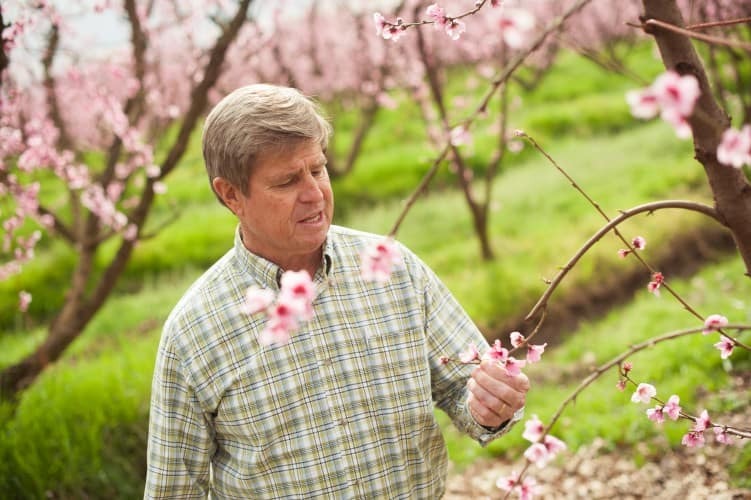 CA GROWN: How does it make you feel to know that your business has been successful through four generations of your family? Vernon: That’s the best part of all this. People who haven’t experienced that feeling just can’t relate. People might think this is just a business and if it doesn’t work, then just go run something else. But this business was passed down from people who weren’t even born in this country and came here as immigrants, took it through world wars and depression and now it’s up to us to make sure we don’t drop the ball. It’s an incredible amount of pressure, but it’s looking really good for us. We’ve already got the fifth generation in the middle of things now and if we do things right, we’ll get it to the sixth generation as well!